There are times in every mom's life when she realizes what she is truly teaching her kids. For example, when then-one-year-old Brody found the Hershey's syrup bottle and walked around the house with it to his mouth, I wondered: Why on earth would he automatically choose syrup over other food items? Mystery solved: He probably saw me hanging out with a Hershey's bottle more often than he saw me hanging out with a carrot. To him, it was normal to spend daily time with Hershey's. Or when Brecken began rifling through everyone's Easter baskets yesterday, looking for candy. Well, not just any candy; specifically, chocolate candy. I often wonder why he goes straight for the good stuff (the chocolate stuff) that I want to eat when he goes to bed. Then my husband kindly points out the fact that much of my pregnancy diet consisted of bedtime ice cream snacks and Milky Way minis. Drat. But that's why he is so sweet, right? Sidenote: Actually, if Brody were to describe him, he would call him "spicy," as he calls all remotely sour foods. Yes, Brecken is remotely sour...ah-em..."spicy." But he is also super sweet. 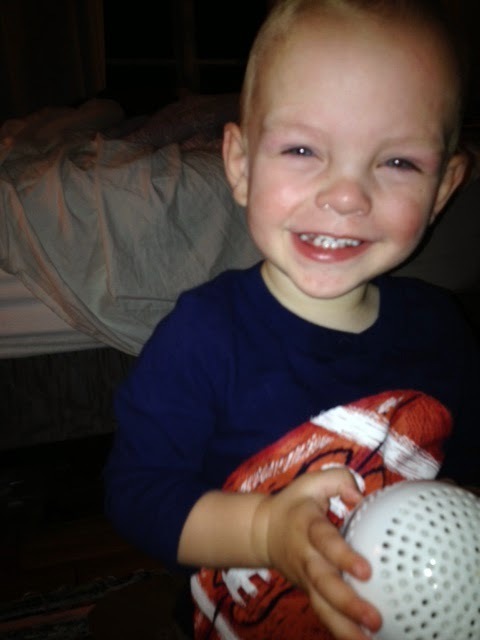 Case in point: This pic was taken in a sweet moment right after a very spicy 10 minutes in his be last night. We are trying to teach and train our kids well. We are trying to teach them about biblical truths, how to treat others, whom to trust, and how to eat nutritious foods (and I am trying to be a better example in all of the above). I have tried to memorize all of the kind, sweet, gentle statements in it, but to no avail. I still yell in frustration or simply take deep breaths when one child has turned the bath water on while the other throws my makeup in it to make colors or when one child has a panic attack because the other child touched his leg with his toe. And I still huff and puff in agitation when one child jams bubble gum inside the container of soapy bubbles and then wails when I won't fix it. Oh, the tragedies. 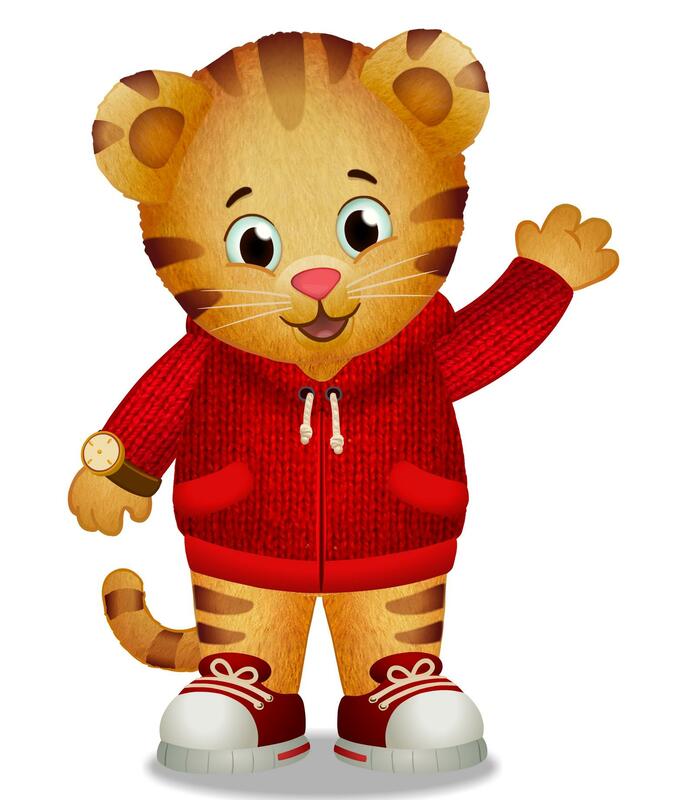 3 - What Daniel Tiger sings. On that note, a quick pause for a shout-out/moment of silence/e-hug to single parents out there corralling multiple munchkins. Good gravy. Not sure how you do it all day, e'ery day...and then all night. Lastly, the other day when Brody got mad because he couldn't get water to spray out of the hose, Brad called him over to talk to him. Without missing a beat, Brody sang, "When you're frustrated, take a step back..."
Brad came over to me a minute later saying, "That's not how I envisioned that conversation going, but I'll take it." Clearly, I'm still learning how to be a parent. Now, if I could just get my kids to stop telling on me to my own parents. This morning, when my parents came to get the boys before school, the first thing out of Brody's mouth was this: "I put gum in my bubbles and Mommy threw the bubbles in the trash." Yes, yes I did. "When you're frustrated, take a step back and ask for help." Daniel Tiger, I need you.